With no winner in the Powerball last night, the Jackpot now sits at $425,000.000.00 and is expected to grow closer to a half a billion before this Wednesday's next drawing. Now before you start spending (investing) all those zero's, there is one small little detail that must be taken care of first. Taxes. If you were to choose the lump sum payout, you would also see over $148,000,000.00 in real dollars quickly disappear for not letting them control "your winnings" for the next 30 years. You are then required to pay Federal taxes @ 25% of your gross winnings which takes another $70,000,000.00. out of your powerball jackpot. Your $425 million has already been cut more then in half, leaving you with a little more then $208,000,000.00 before your State taxes. Depending on which state you bought your power ball ticket, your state taxes range from zero in states of New Hampshire, Delaware and Florida, all the way up to an additional 8.82% in New York State. What's another $20 million amongst your state friends? When it's all said and done, before you even see the first dollar, you will walk away with $184 million in a worst case scenario if you bought your power ball ticket in New York. Of course there is also the possibility of multiple winners that would further dilute your winnings even more. Sure, it's no where near what you "thought" you won, but it's still not a bad deal from investing (I use that term loosely) $2 for a chance to win one of the largest jackpots in history. 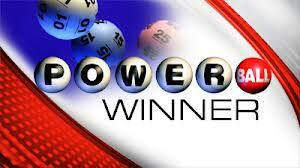 I personally never buy a Powerball or a Mega Millions ticket until it hits at least 9 figures. ($100,000,000.00 +) I figure I "Might" someday hit one jackpot, so it might as well be a big one. To some that may seem a little greedy, but to me it's just saving a few bucks until it grows up enough to warrant the odds your dealing with. The more drawings without a winner, the more likely there will be one coming up that will produce a winner. Of course myself and a few million other people seem to think on the same wave length which doesn't help the odds much. So what would you do if you had an extra $200 million (after all taxes) sitting in your bank account this time next week? Would you still be as passionate about your entrepreneurial dream as you are right now? Or would you go on a spending spree and forget all about it. You have all the money you could possibly spend, so why even bother with making more money, taking on more risk?. Why waste your time creating a new invention, a new business or anything that would deter you from your new lifestyle. This is THE QUESTION that all of the Sharks had to ask themselves at one point in their careers. They are all at the very least multi-millionaires that could comfortably live a very nice lifestyle without risking another dime on any new business or passionate entrepreneur with a dream of their own. This very trait is what separates the Sharks on the Shark Tank Show from so many. They already have enough money, that money by itself, is no longer the "motivating factor". It's all about "more" Success! The ability to dream farther then your dreams can currently see. As Kevin O'Leary would say " I send out my little soldiers with the hope they will bring home even more soldiers of them". Yes he is talking about money BUT he also sees something in the business or product that will become successful, and as a result, he will profit from the deal and help another entrepreneur to financially grow. It's the Art of the Deal that keeps him motivated. The money is nothing more then a score card on how successful the deal has evolved. Are You A Shark or just a Fat Whale? This is a question you must honestly answer before any significant amount of money comes your way. Whether it comes from a $2 winning powerball ticket or a multi-million dollar deal from a new invention. Success is a state of mind. How you answer this question tells a lot about how devoted you are to your business/idea now and more importantly in the future. How passionate are you if money itself was not the motivating factor?